Ka-me-ha-me-haaaaaooow bad is this game after all? 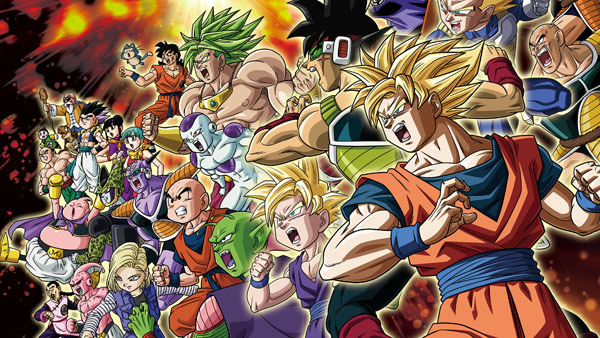 Dragon Ball Z is great for several things: Tons of action, memorable characters, and more fighting game adaptations than you can shake a stick at. Unfortunately, a good number of these aren't on the 3DS, a system that just doesn't have that many fighters to brag about aside from Super Smash Bros. Dragon Ball Z: Extreme Butoden is both a 3DS fighter and another entry in the long list of Dragon Ball Z games out there, but unfortunately it doesn't exactly satisfy the handheld fighting niche. Extreme Butoden is a very predictable, simplistic fighter with plenty of characters to choose from, but very little for you to do with them. The brawls themselves are extremely basic, with combos at the heart of things. String together punches and kicks as well as ki blasts for devastating moves that'll blow your opponent out of the water. From Goku to Vegeta to Piccolo to Tien, there's a fighter for you ripped straight from the cels of the anime series itself, but there isn't that much to differentiate one from the other in terms of movesets or even the way specific fighters feel when you choose them. You can team up with other Z fighters or use 4 assist characters to take out opponents, but honestly, there's hardly any reason to have to swap out characters when you can stand on one side of the battlefield and continually ki blast your enemies into oblivion without them even having landed a punch on you. It's laughably simple, despite there being differently-tiered matches, and ensures that you blow through the first mode, or Z Story mode, in a couple of hours. It's a requirement that you clear the Dragon Team storyline before you can head on to the game's other modes, and it's an extremely short "remembrance" tale for anyone who needs to get into the Dragon Ball Z lore, and quick. Unfortunately, it's also devoid of any real interaction between characters save from one fight apiece, and a few simple lines of text that do little to communicate the grandeur (and silliness) of the epic shounen series. Clearing Z Mode nets you a series of other challenges to play that attempt to explore hypothetical scenarios in the Dragon Ball Z universe, but they're largely simplistic affairs that play exactly the same as the original Z Stories. They aren't nearly as fulfilling as the same types of situations in other titles, mainly those on console. It's more of a drudge than anything. Adventure Mode isn't much better, despite being a game mode that expands on the previous selections and at least attempts to weave an inventive narrative, but in the end the character interaction and skills you can unlock are the only things that make it worth checking out. It's a shame, because the excellent 2D graphics, fluid character sprites, and premise is fantastic, with plenty of fan service for Dragon Ball Z fans. But the execution fails on several levels, and the level of polish isn't quite there or what fans have come to expect from the Dragon Ball Z games. If you're looking for a good fighter, you might be better served picking up one of the old Budokai releases.